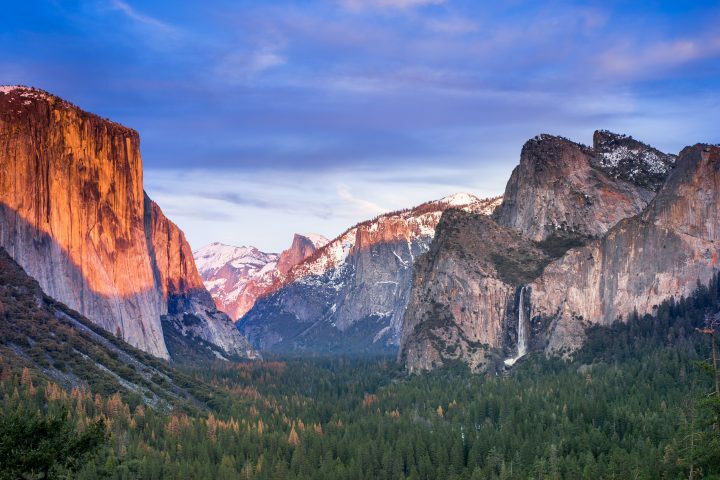 August 25 marks 100 years of America's National Park Service. With this auspicious centennial upon us, it's the summer to celebrate outdoor adventure. What better way to usher in the second century of America's National Parks than by getting fit with your pet at your side? Of course, we can't really celebrate much of anything without our fur mates getting in on the action. We've outlined many of the legendary, pet-friendly trails below, where you can spend quality time with your best friend safely. The upcoming centennial inspired us to compile a "greatest hits" list of America's most dog-friendly national parks, enjoy! 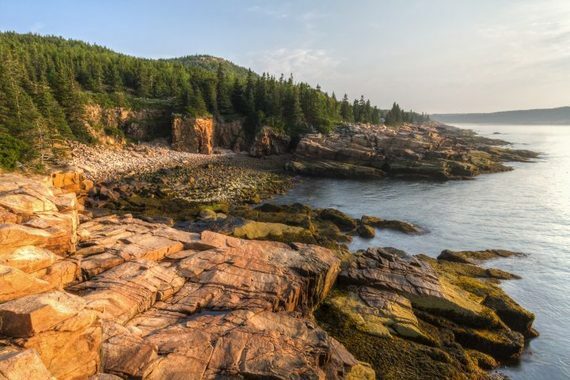 Acadia wins major points for the sheer spectacle of its geographical bounty and beauty. It is the grand peacock of the national park collection. A dog-friendly national park on the coast of Maine, it's an absolute gem of unraveling inlets. Acadia welcomes dogs on all 120 miles of hiking trails and 45 miles of carriage roads in the park -- with the exception of a handful of trails that require iron rungs or ladders. One simple dog-friendly rule for Acadia's dog-friendly areas includes using a leash that's no more than six feet long. Our favourite Acadia camping spots that welcomes dogs? We can't get enough of the Blackwoods and Seawall campgrounds, and the off-leash area adjacent to the park at Little Long Pond. 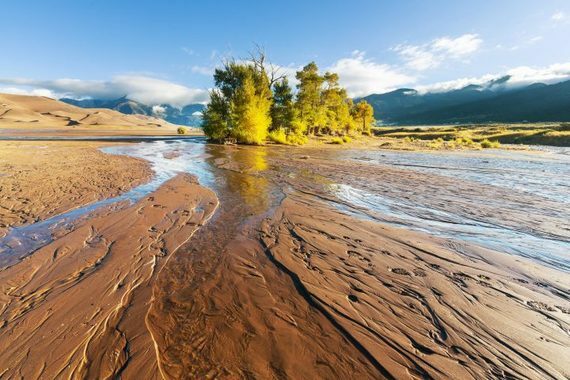 Great Sand Dunes in southern Colorado wins the Oscar for most cinematic splendor. These are the tallest dunes in North America, set within a spellbinding matrix of grasslands, wetlands, conifer and aspen forests. Think pristine alpine lakes and rolling tundra. Your sporting dog will be in heaven. If you head there in the summer, the sand can get blazing hot, so outfitting Fido with booties to protect sensitive paws is the responsible thing to do. Take a brisk splash in Medano Creek to cool off! 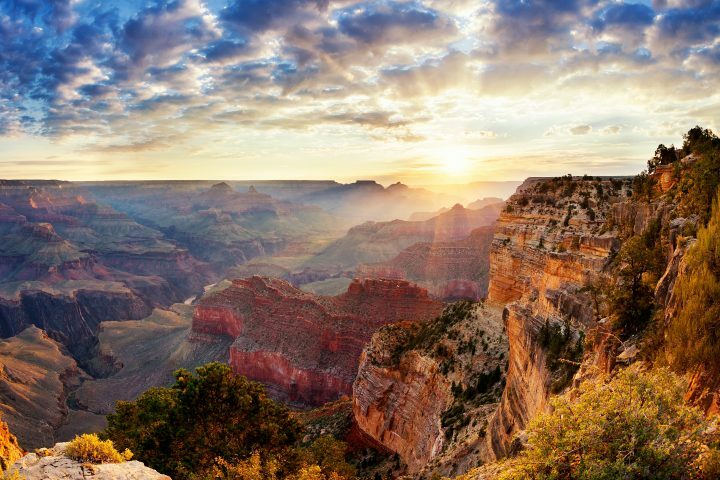 The grandfather of them all, the Grand Canyon is very welcoming to pets. Next time you're in northern Arizona, save a day for you and your pup to enjoy all 13 miles of the South Rim Trail trail at the Grand Canyon. Pets are not permitted below the rim of the Grand Canyon as safety is a major concern; pets must be leashed and restrained at all times. You'll traverse the edge of the canyon, but be mindful that the high elevation and dry climate quickly dehydrates the body. No matter how casual the stroll, bring at least a litre of drinking water and a travel bowl for pooch. There's no better companion in the great outdoors than your trusty four-legged sidekick. 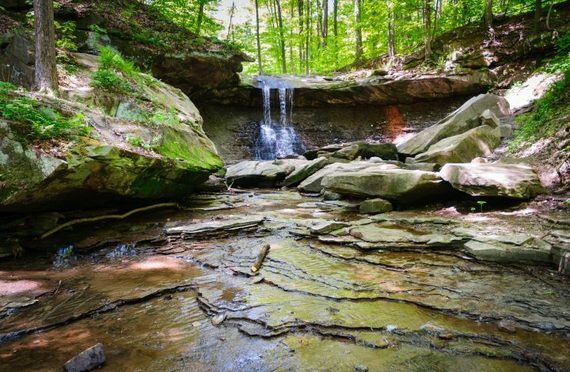 A more recent addition to the U.S. national park collection, the dog-friendly Cuyahoga Valley National Park in Cleveland, Ohio was designated in 2000. The lush forests and rolling meadows are simply sublime. For the best Instagram opportunities, head for Bradford Reservation. This five-mile trail crosses the Tinkers Creek Gorge, Ohio's most impressive canyon, known for its hemlock forests. 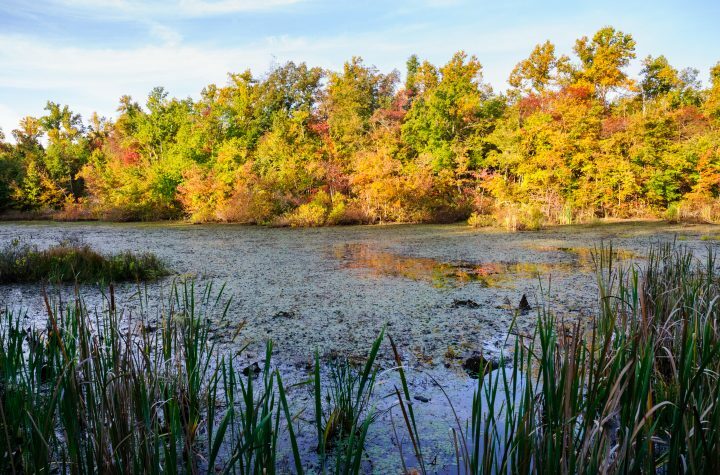 Alternatively, follow the scenic Cuyahoga River, where dogs are welcome to join you on all of the 125 miles of trails through woodlands and wetlands. Sure, cave and grotto junkies make pilgrimages to this national park for the main attraction of 336 miles of underground passages. Trust us, there's such a wow factor to seeing so much geological eye candy in one park. Resist counting Fido out; over 70 miles of pet friendly trails puts Kentucky's Mammoth Cave National Park firmly on our dog-friendly national park radar. With the exception of designated service animals, dogs aren't allowed in the caves; however, pooches love the park's above-ground hiking trails and woodland cottages. If you're up for a longer trek, the North Side Trails provides dramatic waterfalls and cuts through one of the last remaining old growth forests in the region. 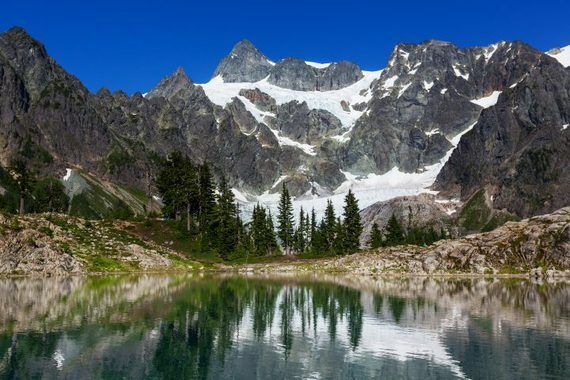 North Cascades is truly a national treasure. This park is a real calorie burner to boot! While pets are not permitted throughout most of this park, they are allowed on the Pacific Crest Trail, one of the park's most physically demanding and spectacularly rewarding scenic routes. The Pacific Crest Trail is indeed epic, stretching all the way down to Southern California. This sprawl inspires many sporty pet parents to take Scout on a soulful overnight backpacking trip. Oh hello Shenandoah! Skyline Drive may be the most photographed vantage point at this dog-friendly national park in Virginia, but with Fido along you'll definitely want to pull over and go for a adrenaline spiking hike. Peaceful wilderness and hypnotic waterfalls will thrill your pup - it's a great day trip, just 75 miles from Washington, DC. 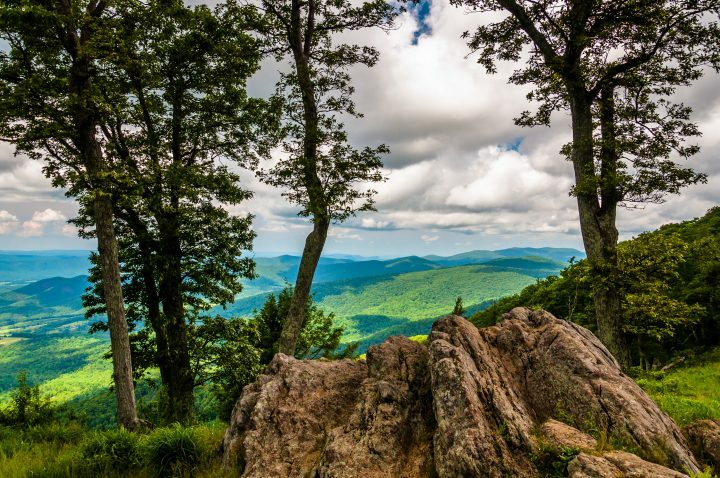 A majority of the Shenandoah trails are great for dogs of all sizes; of the more than 500 miles of trails in the park, only 20 miles are off limits to dogs because they feature challenging rock climbs or have tricky passages. Yosemite may seem like the strictest park of the bunch, but such no-nonsense regulations protect both pets and wildlife from disease and each other. The Wawona Meadow Loop is the only trail at Yosemite National Park to welcome dogs, but pups are permitted on the park's many roads, sidewalks, and bike paths. Leashed pets can bunk down with you at all of Yosemite's campgrounds, with the exception of walk-in and group camps.